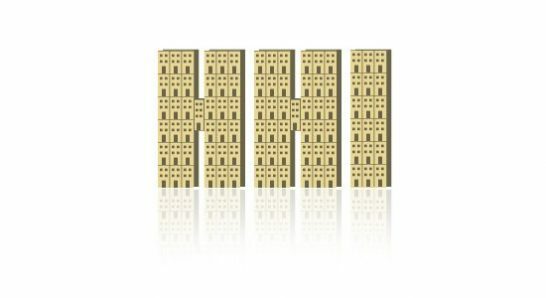 HHI (Herfindhal – Hirschman Index) is an accepted measure of market concentration. It approaches zero when a market is occupied by a large number of firms of relatively equal size and reaches 10000 (max) when a market is controlled by a single firm. E.g. the search engine market with three players Google (64%), Yahoo(18%) and Microsoft(13.6%) has an HHI index of 4624 indicating a very concentrated market. In a similar vein the Title Insurance Market has an HHI index of around 3000. Typically, an HHI below 1,000 indicates an un-concentrated index, an HHI between 1,000 and 1,800 indicates moderate concentration and an HHI above 1,800 indicates high concentration. The market is concentrated with four large companies namely Fidelity National, First American, Stewart Title, Old Republic. Zivanta Analytics prepared a market penetration strategy report for a large Title Insurance subsidiary. As a part of the exercise, Zivanta team used an innovative methodology to build a case wherein market concentration (HHI) in the Title Insurance industry in the various States, presented a unique market penetration opportunity. The suggested methodology is demonstrated in this paper using the publicly available data ( ALTA) for Fidelity National, by far the largest Title Insurance underwriter in the United States. The market was segmented into four quadrants wherein HHI index of each of the States in the United States is plotted on x axis and the market share of Fidelity in each of the states in (on y axis). Plotting the States by its aggregate HHI and Fidelity market share brings out four interesting scenarios.